Chanel No. 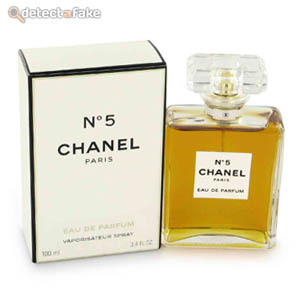 5 was the first perfume launched by French couturier Gabrielle "Coco" Chanel in 1919. In the 1950s the glamour of Chanel No. 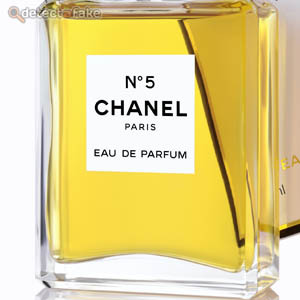 5 was accelerated by the celebrity of Marilyn Monroe. Monroe's unsolicited endorsement of the fragrance provided invaluable publicity and helped to cement it's place as one of the premier brands. Along with the popularity of Chanel No. 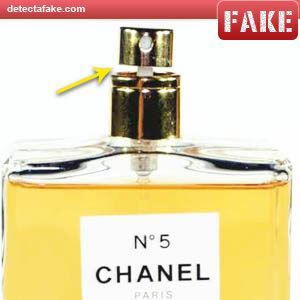 5, the draw of the counterfeit market has also grown. Below are a few steps to separate the real from the fakes. First, check the appearance of the bottle. The label should be made with raised letters and should be perfectly aligned. Next, look at the interior of the bottle. There should be no inconsistencies in the glass surface or interior contour. 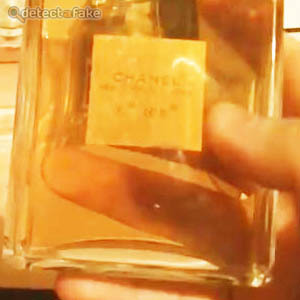 Next, look at the perfume itself. 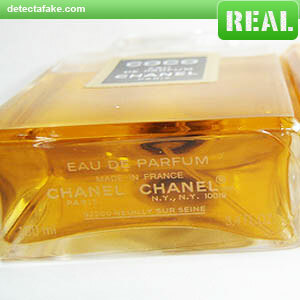 Many of the counterfeit versions are much darker like the one above. Also, make sure the liquid is not cloudy and that it doesn't have any debris floating around. 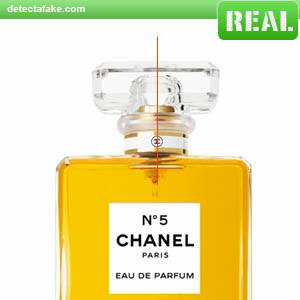 Next, look at the small collar around the neck of the bottle. It should be centered and fitting the neck. Notice, the collar on the fake one is off centered slightly. Next, look at the bottom of the bottle. The printing should have no spelling errors and should be in alignment with the bottle (not crooked). 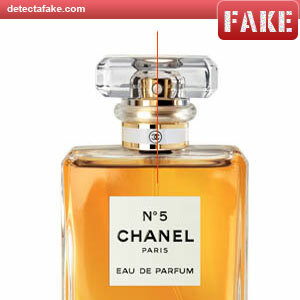 Fake ones sometimes use labels on the bottom. 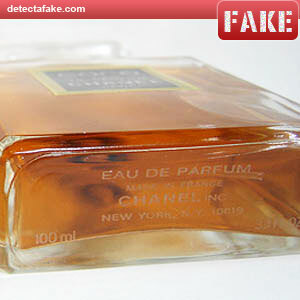 If it has a label, it's fake. 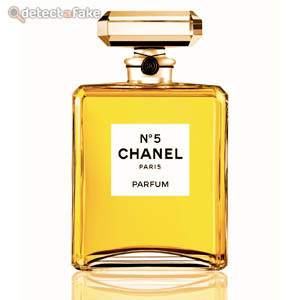 The examples above are from a Coco Chanel but are the same as Chanel no. 5. 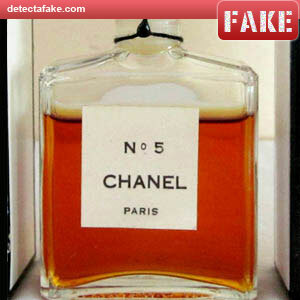 (1) The "Chanel Paris" is missing. (2) It has "New York, N.Y." instead of "N.Y., N.Y."
(3) The "92200 NEUILLY SUR SEINE" underlined logo is missing. Next, look at the back of the bottle. You should be able to read the label from the back side like the one in the picture above. You should also not see a tube on the inside of the bottle. Another thing to look for is a gap in the nozzle. 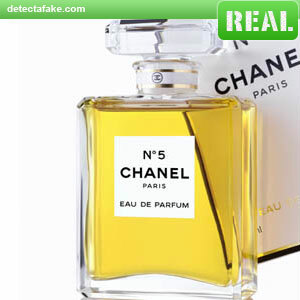 The real Chanel No. 5 has no gap at all. Another thing wrong with this one is the label. Notice how it's slanted to the left.